I have good news again from Romwe. 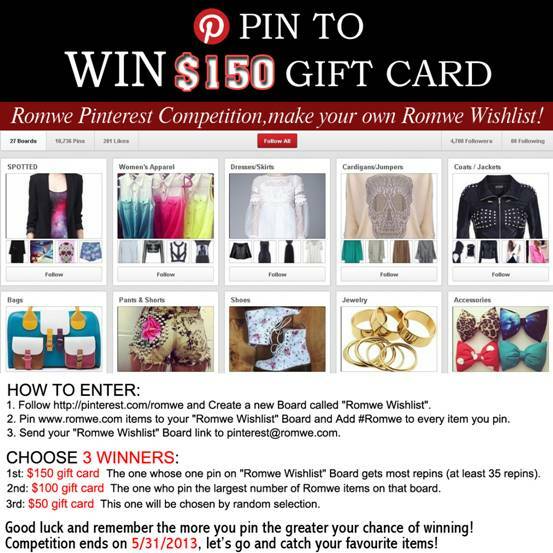 Have you heard about their Pinterest contest? All the information is down bellow. Good luck! 4. Competition ends on 5/31/2013 , let’s go and catch your favorite items!